The versatile one. 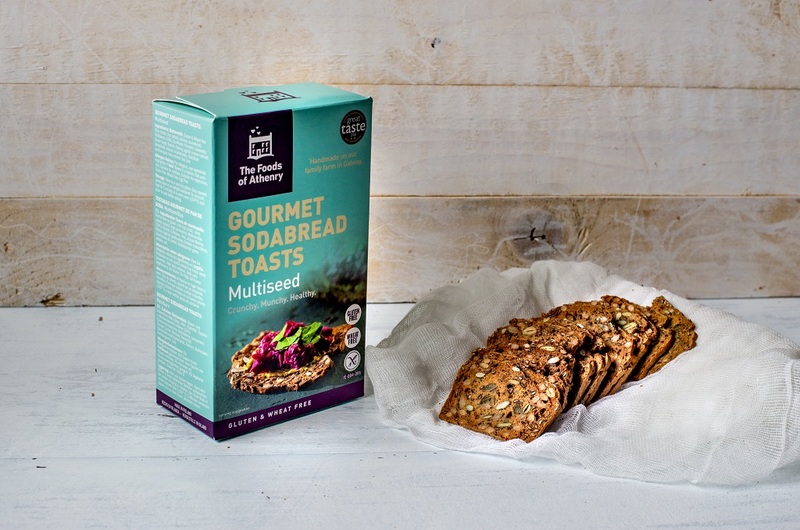 Fabulous twice baked, crunchy seeded sodabread crackers with 26% healthy seeds. Great for dipping/ snacking or with cheese. Ingredients Gluten free flour (rice, potato, maize, buckwheat, tapioca), Buttermilk, Multi-Seeds (26%) (Sunflower, Pumpkin, Linseeds), Brown Sugar, Treacle, Raising Agents (Mono calcium phosphate, sodium bicarbonate), Stabiliser: Xanthan Gum, Salt.